Suede? Think Oasis, Blur and Pulp and you’re not far off. Their first album "Suede" became the fastest-selling debut albums in a decade in Britain in 1992. Not bad for a start, isn’t it! Needless say they have helped creating the Britpop scene back in the days are highly influential. To quote heavy metal personality Eric Greif, Suede “reinvented and repackaged glam in a creative way”. They are a cult band and were praised by legends like David Bowie, Radiohead and Morrissey. But a band’s fate is sometimes tricky… After a few commercial disappointing albums and drugs problems, Suede disbanded in 2003. They reformed in 2010 for a series of concerts and released their sixth album. It was critically acclaimed and they hit the top ten in the UK. They’re now on tracks and their brand new album "night thoughts" (2016) is an even bigger success. 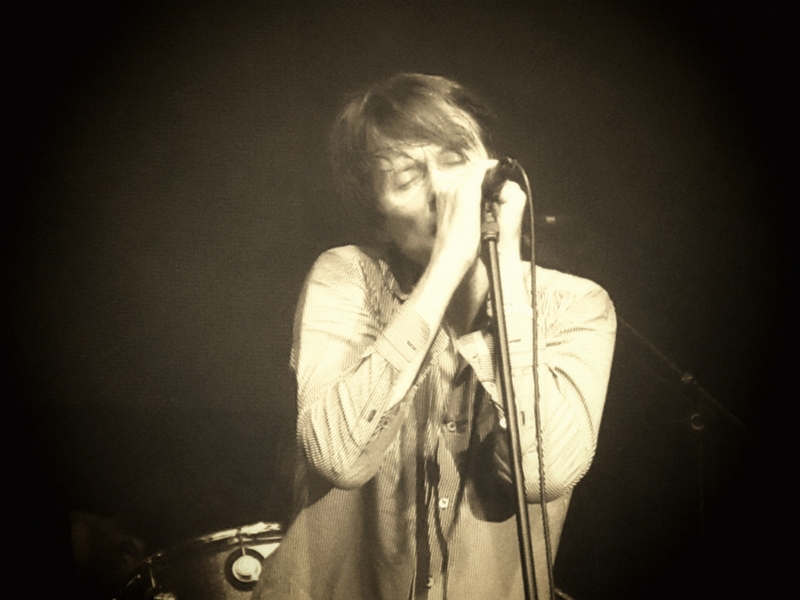 As David Pollock said back in February in The Independant "Suede haven’t changed, but nor have they dulled – indeed, there are few bands who have tackled the angst and uncertainty of middle-age with as much clear-eyed dedication as that of their youth." I remember seeing singer Brett Anderson on television at the time of their first album (we are of similar age) and he impressed me a lot. His on-stage passion and semi-outrageous attitude were breathtaking. Now, the music business works in mysterious ways and I'm glad the band is back and touring in 2016. I’ve always wanted to see them live and you know what they say: better late then never! This being said, I really enjoyed hearing the songs live! I was overjoyed by "Animal Nitrate" and "So Young" because it was like rewinding the clock back to my youth. Their new songs perfectly fit in, it was Suede with a twist! They've chosen to accompany the new record with a film by music photographer Roger Sargent. The film works more as a series of vignettes timed to accompany each song. Guitarists Richard Oakes and Neil Codling played the whole set loudly and passionately. Indochine is a French pop/rock and new wave band formed in Paris in 1981. The band sold over 10 million albums and singles making them one of the best selling French bands. They became very successful in continental Europe and Latin america in the 80s but then somehow disappeared from the music scene due to tensions Inside the band. They came back to stardom in 2002 with the release of their album "Paradize". "Paradize" marked a change in aesthetics and genre, moving towards a darker tone and more introspective lyrics influenced by Placebo and Marilyn Manson. Incidentally, they collaborated with frontman Brian Molko/Placebo and issued a duet "Pink Water" in 2005. Indochine is one of those bands that maybe hasn't earned its status so much by artistic value but more on stamina. They have a dedicated crowd of followers and their dark wave sound and gothic look are somehow timeless. The curse is now broken and what a gig it was!!! The crowd had been waiting all day long for this. Some arrived and took position early. Others tried to get through the crowd with poor success: it was 11:30 pm and there was a see of people as far as the eye could see. 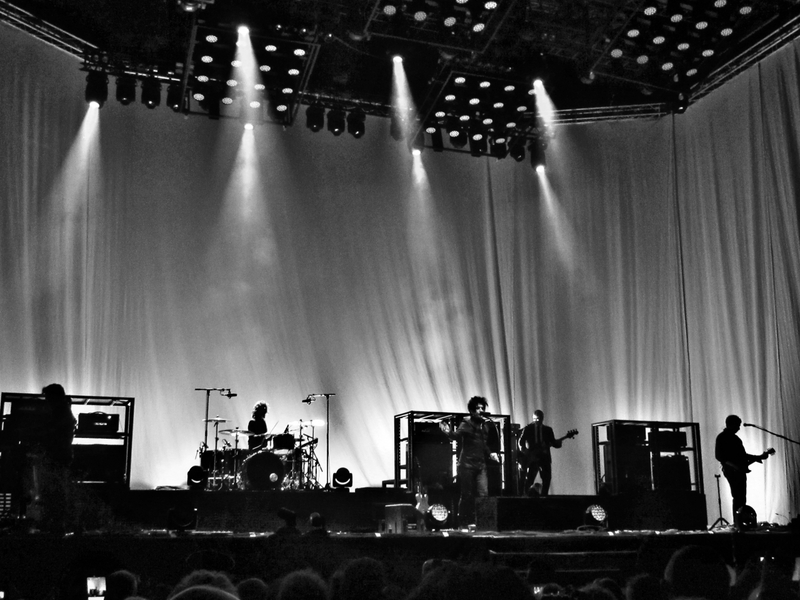 When Indochine entered the stage everybody went crazy... The band then started what will remain in our memories as a pure moment of happiness. It's impossible to describe the enthousiasm, passion and devotion this band is activating. They are gentle, almost child-like (without being childish). Their lyrics are plain but speak to the heart. They talk about being different in a semi-provocative but always stylish way... And the people LOVE it. They ended the set with two blockbuster hits of theirs and left with a fantastic job done : they made thousands of people happy. Les Ardentes - Happy 10th anniversary!! !